Happy Kitchen Sink Stamps Monday! There's some exciting things happening in the Kitchen today! Playful Christmas 1 has been brought out of retirement and now has a companion set, Playful Christmas 2. 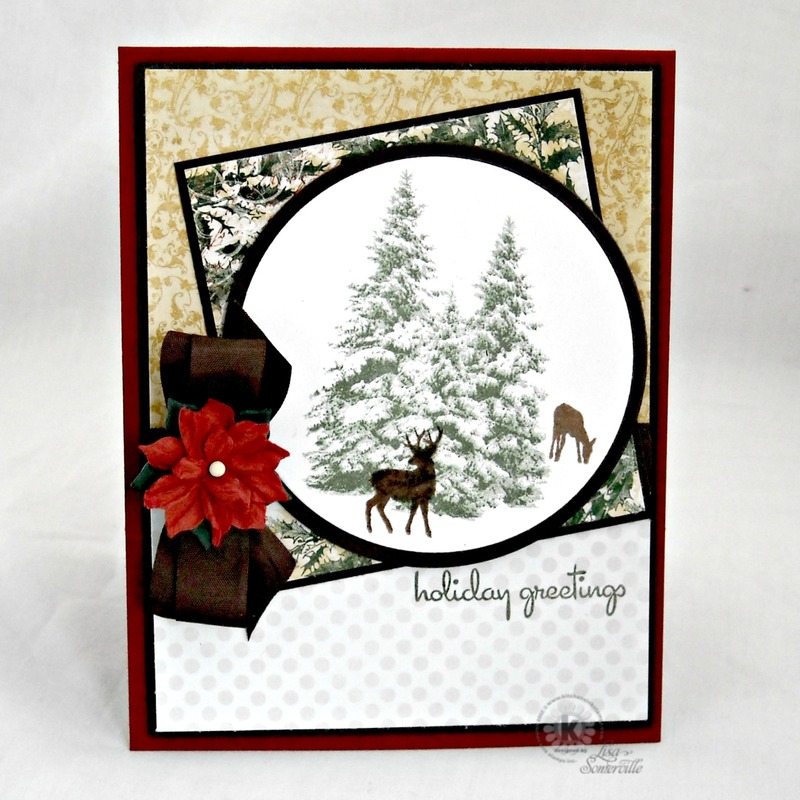 But before I share the card I made with these sets, I have another Christmas card to share that uses Multi Step Snowy Pines, Ready 4 Any Holiday and Multi Step Tree Friends. 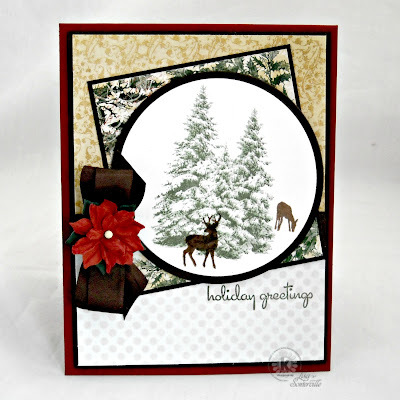 Next I have a whimsical birthday card that uses both Playful Christmas 1 and Playful Christmas 2 along with a sentiment from Multi Step Grizzly Bear Wishes. Instead of using the shapes for trees, I used them as pennants, cutting them with my Silhouette using he Playful Christmas 2 SVG file. Wowza! 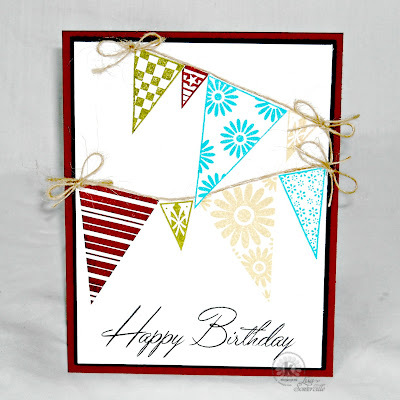 Love this card and layout! Clever idea to use the trees as banners too. .... Can I just say, "DUH!!!" to myself! Using the tree centers as penants .... BRILLIANT!!! You ROCK! *gasp! * The Snowy Pines are absolutely perfect, Lisa! 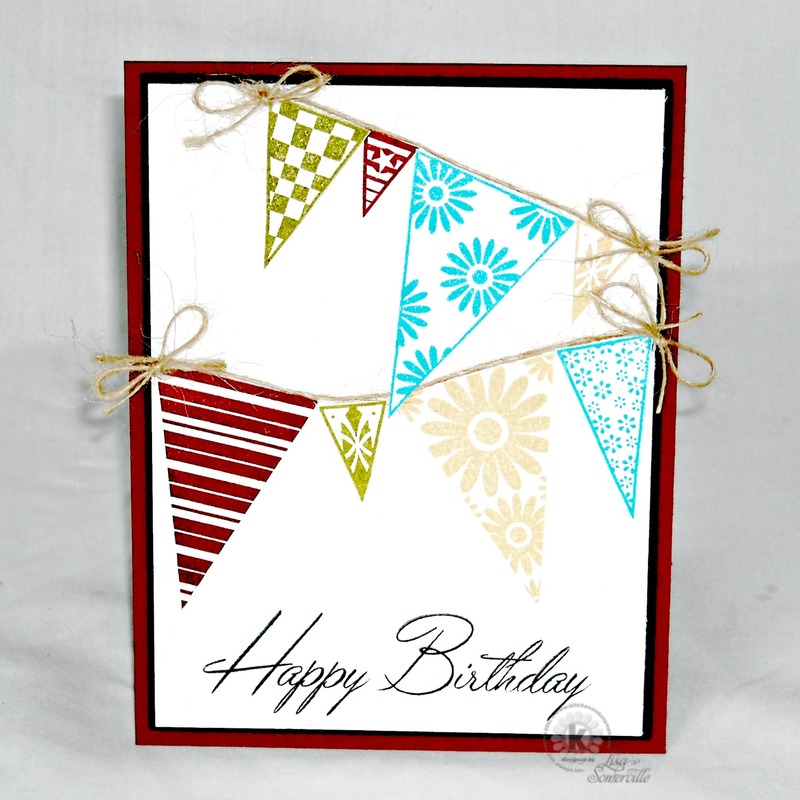 And I LOVE the Playful Christmas trees as party pennants... very clever!